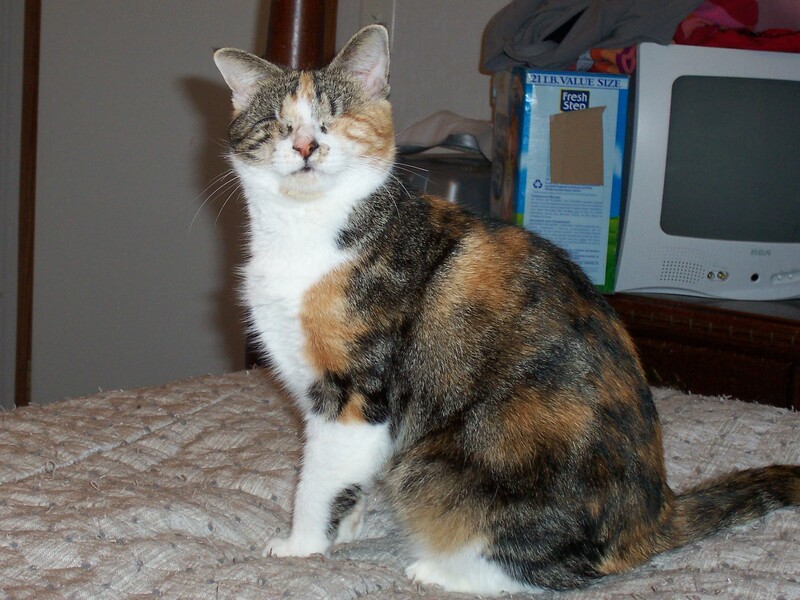 Charity was found as a stray – she had no eyes and everyone who sees her is touched by her strength of character. She loves her human mommy and I’m grateful that she chose me to live with. Charity amazes me every day with her intelligence. She remembers where everything is, going to her water or food time and again unerringly. She climbs onto things with no hesitation and fearlessly jumps down. I was astounded when I discovered her practicing this skill – she kept climbing on my lap and jumping down over and over again as if she was memorizing the distance. She loves to play “chase” with my fingers, I scratch them on the carpet and she follows the sound with her superb hearing. She loves any toy that makes noise, and plays with it at one sitting for much longer than my sighted cats would play. Charity often follows me through the house using my voice and the sound of my footsteps. If I leave her while she’s playing, she’ll seek me out wherever I have moved to. She likes to be touching me and sometimes walks at a “heel” touching my ankles as I walk. Cats have better hearing than dogs - much, much better in fact. Cats are expert at sensing the precise direction that a sound is coming from. They can detect between two sound sources separated by an angle of only 5 degrees. The cat determines the direction of the source of the sound by differences in the time of arrival and intensity of sound received by each ear. When Charity is still and listening, she moves her head slightly from one side to the other, getting a better feel for where the noise is. Cats use their whiskers to sense air currents - movement as little as 1/2000th of the width of a human hair. The whiskers are used for stalking, measuring and warning the cat about unseen obstacles. In dim light, sighted cats use their whiskers for navigation. When any cat is pouncing on his prey, the whiskers are pointed as far forward as possible. Charity continually has her whiskers pointed forward to enhance their sensitivity. Charity and Julia, You are Both Beautiful! Julia, Charity's mommy is a very special person and we also honor her in this feature. I'd like to encourage you to email her and let her know how special she is. 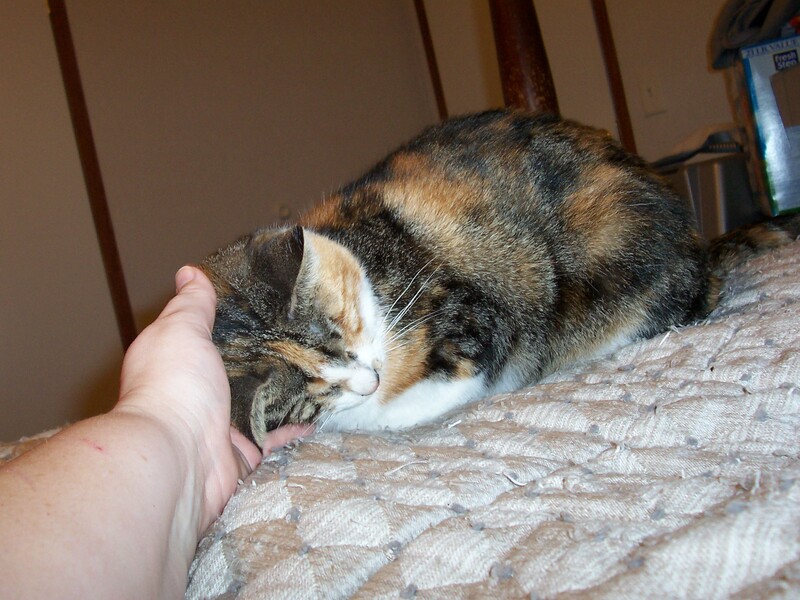 If you have a special needs kitty email her for tips, I know she'd love to hear from you.